LDL Cholesterol is often referred to as the “bad” cholesterol, but what else do you really know about it? Cholesterol is a waxy substance that your body produces naturally. Your body needs and makes cholesterol. There are two types of cholesterol. In your cells, cholesterol travels by attaching itself to proteins. The type of protein it attaches itself to determines what kind of cholesterol it will be. These proteins are called lipoproteins, and are classified as either “high density” or “low density”. First of all, despite the hype, not all cholesterol is bad. Your body needs cholesterol and uses it for important functions such as hormone and vitamin d production. Low density lipoprotein cholesterol, or LDL cholesterol, is considered “bad” because it sticks to the inside of artery walls causing plaque buildup and blockage. This condition is called atherosclerosis. What Should My LDL Cholesterol Levels Be? 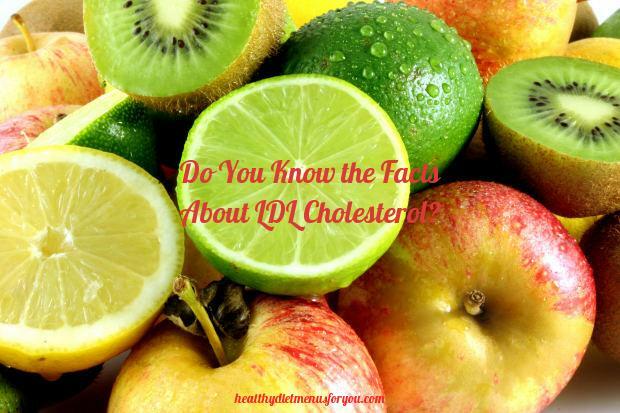 Unlike your HDL cholesterol levels, you want your LDL cholesterol levels to be low. There are slight differences in what is considered high for men and women. Men are more likely to have high levels of LDL cholesterol and be at risk for heart disease. Ideally, you want your LDL cholesterol levels to be less than 100 milligrams per deciliter of blood. Any level over 130mg/dL is considered borderline, and over 160mg/dL is considered high. An LDL cholesterol level over 190mg/dL is considered very high and puts you at risk for a potentially life threatening condition or cardiac event. How Can I Decrease My LDL Cholesterol? Living the healthiest lifestyle possible is the best way to maintain healthy cholesterol levels. Diet and Exercise: What you put in to your body is important. Monitor the foods you eat, especially animal products, to decrease your LDL cholesterol. Exercise regularly to keep your body strong and help to increase your HDL cholesterol levels, which will help to remove and decrease LDL cholesterol. Smoking greatly increases your risk of high cholesterol and blood pressure, both of which severely impact your heart health. Quitting is a great way to kick-start a decrease in your LDL cholesterol levels. Depending on your specific situation, including your genetics and family history, your doctor may recommend medication to decrease and monitor your LDL cholesterol levels. For more information on cholesterol, check out my other blogs!